Large pond with viewing deck. 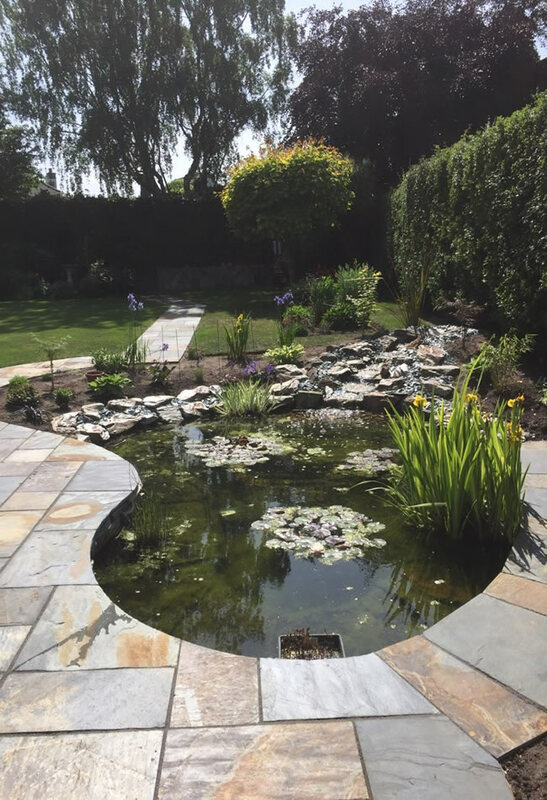 Welcome to UK Water Features, a family run business specialising in water features and patios also offering a full landscape service throughout Cheshire, Merseyside and North Wales. Water feature build & installation. 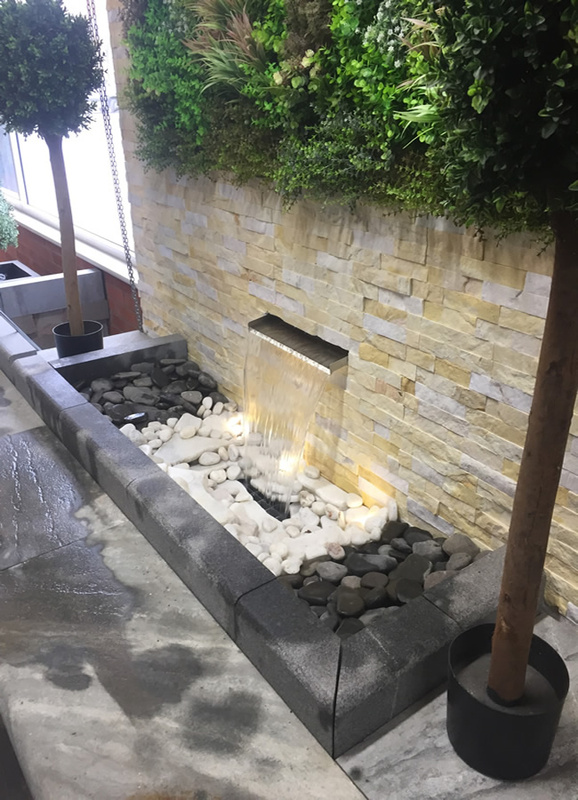 Established over 18 years ago UK Water Features are one of the leading specialists in building and installing water features. 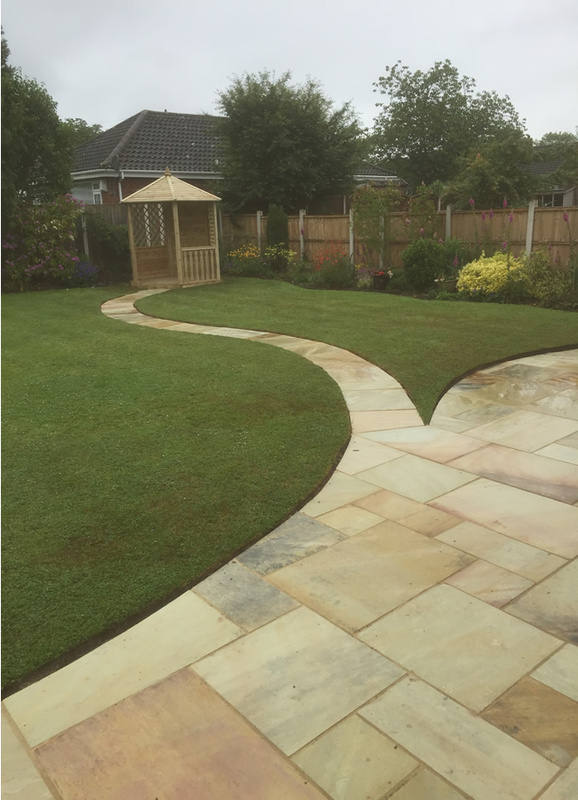 Any size or type of feature can be built to suit any garden or outdoor space. If you want to introduce wildlife to your garden, keep fish, or provide a relaxing background sound, contact UK Water Features. 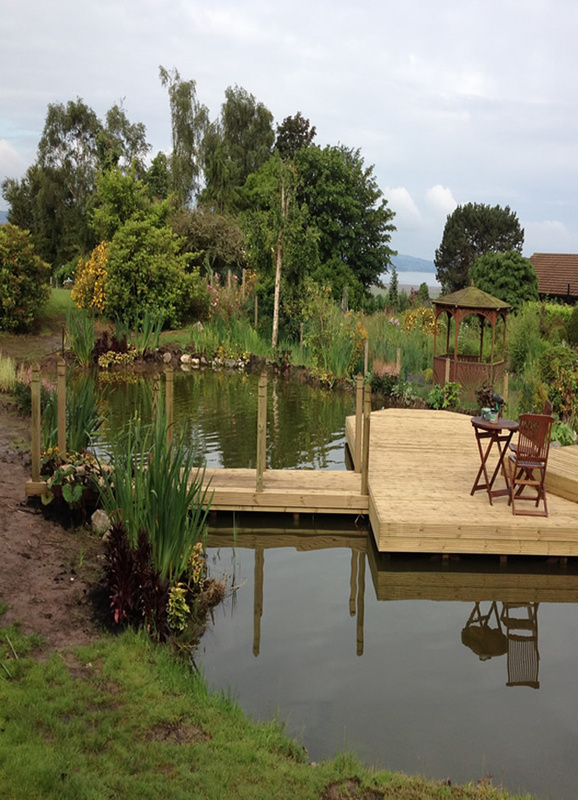 We can build feature lakes with large expanses of water, garden ponds, waterfalls and water feature installations. We also offer a full pond maintenance package. When set in the garden, our patio installations offer the ideal gathering point for family and friends on those lazy sunny days. 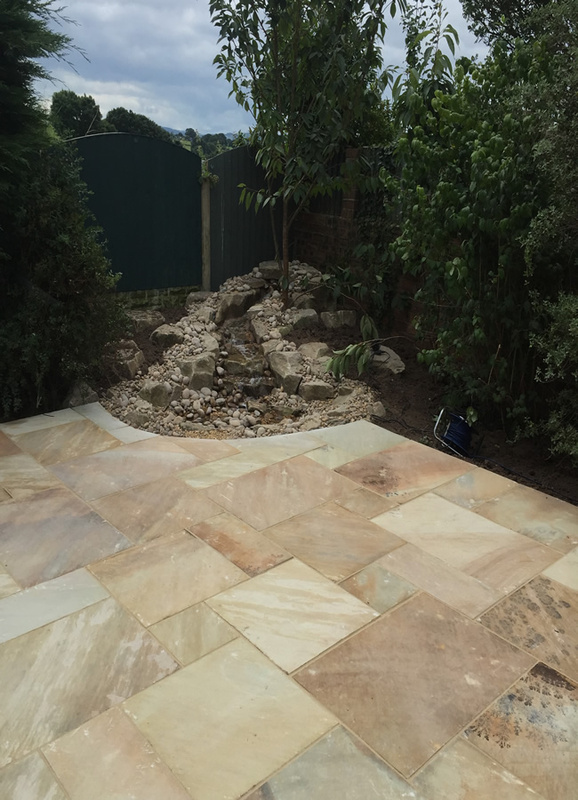 Alternatively our landscape service can re-position your patio and offer a complete garden makeover. Following the launch of our new website we will be introducing a gallery of our work along with the full services, UK Water Features offer. In the meantime if you would like to get in touch we would be happy to hear from you. Installed patio & path to gazebo.